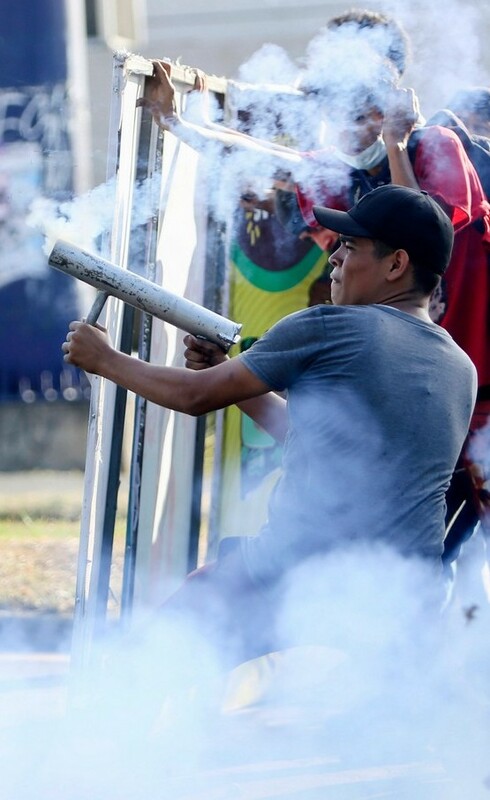 From April 18 until late July 2018, an armed insurrection in Nicaragua left hundreds of people dead. The uprising, backed enthusiastically by private media outlets in Nicaragua (in particular one of its largest circulating newspapers, La Prensa, and the TV network 100%Noticias), was also supported by local NGOs funded by the US government through the National Endowment for Democracy (NED). The Trump administration and others (the EU parliament, UN officials) publicly backed the opposition’s version of events, as did Amnesty international and Human Rights Watch. Daniel Ortega first came to power in 1979 when the rebel force he was a part of, the FSLN, or “Sandinistas” as they came to be known, ousted the US-backed dictator Anastasio Somoza. The Somoza family’s dictatorship was established in 1937 as a direct result of a US occupation that lasted, almost continuously, from 1912 until 1933. By the end of the occupation, Somoza’s father was head of the US-trained National Guard. Reuters mentioned the US occupation one time (5/28/18) in the 45 articles, but very misleadingly suggested it lasted only six years. Somoza was mentioned in 11 of the articles. Only one of those (5/28/18) mentioned that Somoza was a “US-backed” dictator. By contrast, Ortega was disparaged as being like Somoza in four articles. 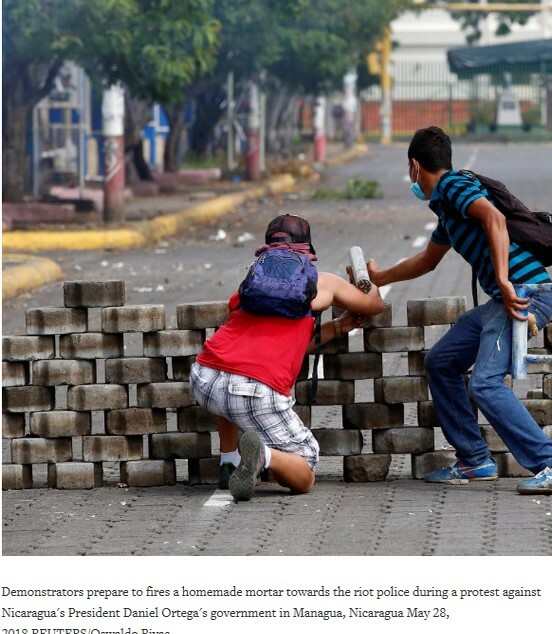 For example, one article (7/19/18) said that the protests had led to 300 deaths, and then quoted a government opponent saying, “He seems more and more like Somoza with the violations of human rights and killings.” Reuters provided no response to this comparison from Ortega’s supporters, but some of the following points would very likely have been made had Reuters looked for one. Somoza’s National Guard is estimated to have killed between 40,000–50,000 people in his last 18 months in power (John A. Booth, The End and the Beginning, p. 181; Thomas W. Walker, Nicaragua, p. 6). One three-week bombing campaign alone by Somoza’s military in September of 1978 killed at least 3,000 people. The level of US support for Somoza is best illustrated by the Carter administration’s maneuvers to thwart meaningful change as Somoza fell (Walker, Nicaragua, p. 37). A month before Somoza fled to Miami, the US ambassador to Nicaragua, Lawrence Pezzullo, told Washington that with “careful orchestration, we have a better than even chance of preserving enough of the [National Guard] to preserve order and hold the FSLN in check.” Only 11 days before Somoza fled, Pezzullo heinously advised Washington, “I believe it ill-advised to go to Somoza and ask for a bombing halt.” Carter also made no objection to a $66 million IMF loan to Somoza two months before he fled. The Reuters articles never mentioned the horrendous death toll from Somoza’s last stand, or US efforts to keep his repressive apparatus intact when Somoza himself could not be rescued. 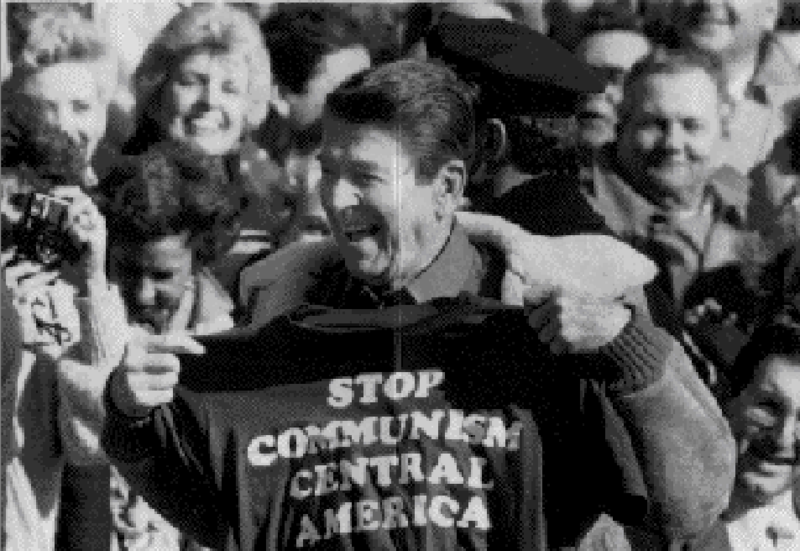 Ronald Reagan with a T-shirt promoting the Nicaraguan Contras. Ronald Reagan, dispensing with Carter’s attempt to use finesse, had the US train, arm and finance the Somocista “Contra” rebels throughout the 1980s. Reagan’s Contra war in Nicaragua cost 30,000 lives. Reuters mentioned Reagan’s backing for the Contras in eight of the 45 articles. Two (6/24/18, 6/3/18) noted the 30,000 people who died as a result of the war against the Contras. None mentioned that the Contras were basically run by Somoza’s ex-National Guardsmen. Four articles stated that Nicaragua was “one of the poorest countries in the Americas” (4/20/18), or words to that effect—which is unsurprising, given that 78 years of Nicaragua’s history consisted of direct US military occupation, a brutal US-backed dictatorship, and the Reaganite terrorist war. It wasn’t until about 2008 that Nicaragua’s real GDP per capita recovered to the level it had reached when Somoza was overthrown. The “opposition journalist” Reuters mentioned, Pedro Joaquín Chamorro Cardenal, was murdered in 1978 as a fierce opponent of the Somoza dictatorship, but Reuters’ wording deceptively suggests he was killed by the Sandinistas. Even more disgracefully, the “lesson” from 1990 was that if you are US-backed candidate promising to end US military and economic attacks on your country, you can use that to win an election. Chamorro’s “pitch,” based on the exploitation of violent foreign intervention, should completely discredit her victory in the eyes of reasonable observers. Much of the US establishment has questioned the legitimacy of the 2016 US election based on reports of email hacking by Russia. If email hacking invalidates an election, then what about terrorist attacks and economic blackmail in support of the winning candidate? Again, Ortega’s 1984 electoral victory is edited out of history, and he is presented as finally bowing to the will of voters in 1990. In the eyes of Western journalists, elections don’t exist when Washington doesn’t like the results, but US aggression does not mar an election result that the US government applauds. The OAS has never been inclined to give governments targeted by Washington a pass; quite the contrary, which is why several years ago leftist governments in the region worked to create alternative organizations, like CELAC and UNASUR. A year after Ortega’s last re-election, Latinobarometro, a pollster that tends to be biased against governments Washington dislikes, found Ortega’s government to be the most popular in Latin America, according to a broad range of questions. None of the Reuters articles mentioned the poverty reduction that took place during Ortega’s recent years in office. The majority of Reuters’ articles (27 out of 45) noted that proposed “social security” (or “welfare”) changes sparked “the protests.” Many of those articles referred to the changes as “cuts.” The word “slash” was also used. But tellingly, not a single article reported that COSEP, the business lobby that joined the coalition to overthrow Ortega, itself supports very deep and unpopular cuts to social security. On April 19, right after protests began, a COSEP press release called on Ortega to “be responsible,” even if it meant “paying the political price,” and endorsed a plan for a 20 percent cut in social security. The opposition newspaper La Prensa (4/18/18) also made clear that it supported much deeper cuts to social security than the Sandinistas, dismissing Ortega’s proposal as “just a patch” in an April editorial that called for “profound structural changes.” The specific plan COSEP endorsed was based on recommendations by the IMF and FUNIDES, a Nicaraguan NGO funded by the US government through the NED. NED funding for the Nicaraguan opposition was never brought up by Reuters. One Reuters article (5/28/18) spun the opposition’s lack of coherence beyond an “Ortega must go” line by calling it a “broad new coalition” that is “looking to the lessons of the 1990 election.” Another (6/24/18) described the “uneasy union” and “division,” but somehow never reported the basic fact that key groups within the opposition want much deeper cuts to social security than what Ortega proposed. Of course, if you are looking to seize power by applying the “lessons of 1990,” why worry about such details? Reuters would be unlikely to characterize protesters as “mainly peaceful” if they were shooting mortars at the police force of a pro-Western government. They “protesters” weren’t simply “armed,” though. They killed people. Days after that press conference, Blumenthal (Shadowproof, 8/5/18) recounted, Morales was “kidnapped from his girlfriend’s house by a truck full of armed men. He was shot in the face, shot in the stomach, stabbed, and thrown in a ditch to die.” La Prensa never reported the near-fatal assault on Morales, nor did Reuters. Blumenthal, who visited Morales in the hospital, was shocked that many high-profile and readily accessible victims of opposition violence were ignored by foreign journalists. I visited Leonel Morales today. He is in the hospital in Managua going through a string of surgeries. An armed opposition affiliated gang kidnapped him at his gf’s house, tortured him, slashed and shot him, and left him for dead in a drainage ditch. He miraculously survived. Blumenthal (Gray Zone, 7/30/18) also wrote about the case of Gabriel de Jesus Vado, “a police officer from Jinotepe, who was kidnapped, dragged from a moving car, and burned alive on video.” The atrocity took place at one of hundreds of roadblocks set up by protesters. Obviously, a breakdown like this compiled by a partisan source can be challenged. Depending on the standards for evidence applied, the classification of deaths can change significantly. I checked through each death in his first category (deaths that implicate the opposition), gave zero weight to police reports (the opposite of what Western journalists do at home), and gave most weight to sources, regardless of political bias, that quoted family members. condemn “violence” in protests against seven killings by the Baltimore police in the previous year. Consider the very different standard for “peaceful” applied in the US to protests against impunity for police killings. 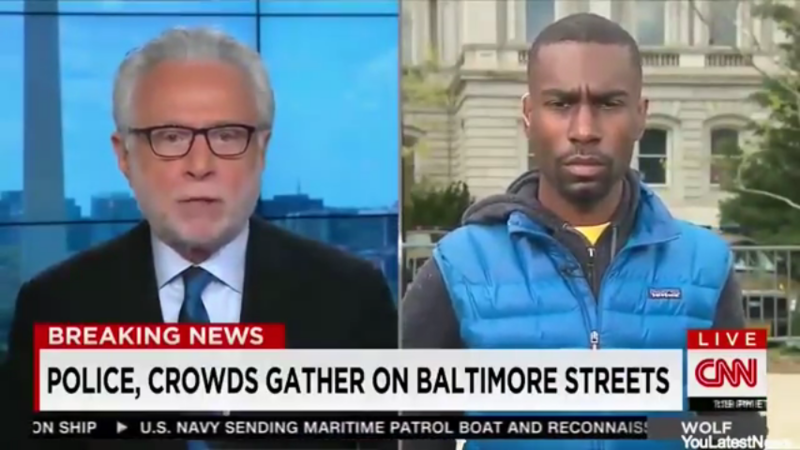 In 2015, CNN’s Wolf Blitzer (4/28/15) badgered Black Lives Matter supporter DeRay Mckesson after protests in Ferguson resulted in property damage and some police officers hurt. At one point Blitzer commanded, “I just want to hear you say there should be peaceful protests, not violent protests,” after Mckesson had already said exactly that a few times. Samantha Bee (Full Frontal, 11/14/16) set the bar even higher suggesting that truly “peaceful protesters” would shake hands with police (FAIR.org, 11/16/16). Barack Obama urged Colin Kaepernick to “think of the pain” he may cause by kneeling during the national anthem to protest killings by police. A movement in the US, or resisting a US-backed government, would not be labeled “mainly peaceful” if it killed any police or civilians at all. Even the relatively minor crimes perpetrated by the opposition in Nicaragua—like using piles of concrete blocks to set up roadblocks all over the country that were kept in place for months—would never be tolerated in the United States, or be described as “peaceful” acts of “dissent.” The unarmed protesters of Occupy Wall Street in the US had their camps evicted by police on the grounds that they were too dirty: a “public health hazard.” An Occupy march that stalled traffic on the Brooklyn Bridge for a few hours led to 700 arrests. That isn’t to say that Nicaraguan police and armed supporters didn’t perpetrate serious crimes in putting down the uprising. However, a violent insurrection like this in the US would never be legitimized by Reuters—not that such a revolt would ever be allowed to get a millimeter off the ground, or that foreign governments would dare support it. In the extremely unlikely event such a revolt developed, it would certainly be put down very brutally. Some leftists in rich Western countries say that they live under “dictatorship.” It‘s a silly and defeatist claim, but it will not put their own countries at risk of invasion, foreign-backed violent insurrection or devastating economic assault. It’s quite different when a government in the Global South gets the “dictatorship” label pinned on it, thanks to very biased reporting about a foreign-backed insurrection. Joe Emerbersger is a writer based in Canada whose work has appeared in Telesur English, ZNet and Counterpunch. Nicaragua: Peace Rearing Its Ugly Head? Robinson is a major proponent of the view that US imperialism has been eclipsed by a “transnational capitalist class.” He does allow that on a world scale Nicaragua weighs in as being more progressive: “Has the Ortega regime, with its assistancialism (sic), been anywhere near as ‘bad’ as these other neoliberal regimes? Certainly not.” But, less bad is not enough. The crux of his difference with the anti-imperialist left is that they uphold Nicaragua as worthy of defense, whereas in Robinson’s post-US imperialist world no nation passes his litmus test. One of the factors contributing to a tipping point between US cooperation and US coercion was the adoption of a inter-oceanic canal project with Chinese financing, which fundamentally challenged US geopolitical interests. The US has imposed sanctions against top Nicaraguan officials. USAID received an additional $1.5 million to promote “freedom and democracy” in Nicaragua. The NICA Act has passed the House by unanimous consent and is pending in the Senate. The NICA Act is designed to restrict international financing and thereby create misery among the Nicaraguan people to pressure the Ortega government. “Non-emergency government personnel” have been evacuated to go back home, presumably where gentlemen's clubs are still safe. Read other articles by Roger. Kansas Republican Kris Kobach’s Governor’s Campaign hires white nationalists, giving momentum to the racist anti-immigrant movement and increasing their power in the GOP. In a move that was entirely predictable, the US administration is once again threatening to bomb Syria if there is a “chemical weapons attack.” This was entirely predictable because that chemical attack script has been read out, with salty crocodile tears, fake concern, and mocked indignation by US talking heads over the years – since 2012, in fact, when former US President Obama himself drew his red line on Syria. As noted in an article by Moon of Alabama, there is also a distinct lack of certainty around the Khan Sheikhoun accusations. The article further notes that in the OPCW report on Khan Sheikhoun, there are what they mildly dub as irregularities: the 57 cases of patients being admitted to hospitals before the alleged incident occurred, and the contradictory results of blood versus urine samples in “sarin victims”. Who benefits from these repeated allegations? Would the Syrian government truly have benefited had it perpetrated any of these alleged attacks? No. Would it have been logical for the Syrian president to have ordered such a chemical attack, knowing it would bring forward the wrath of Obama, Trump, and their allies? Do these allegations benefit the regime-change coalition? Yes. 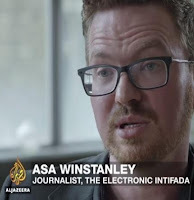 The Israeli foreign affairs ministry employs staff of the country's embassy in London, which was at the centre of suspicions of meddling in UK politics provoked by an Al Jazeera undercover documentary aired last year. Eitay Mack, an Israeli lawyer, has written to both ministries requesting information on Israel's contacts and possible funding of anti-Corbyn activities by pro-Israel lobby groups in the UK. The letter specifically seeks information on possible ties with the Board of Deputies of British Jews, the Community Security Trust, Labour Friends of Israel and Conservative Friends of Israel. Netanyahu's high-profile intervention followed days of similar claims in the British media against Corbyn. This week Labour MP Joan Ryan, who heads Labour Friends of Israel, wrote a commentary in the Jewish Chronicle newspaper directly blaming Corbyn for what she termed the party's anti-Semitism crisis. She said the party's problems had grown out of his "past associations with 'Holocaust deniers, terrorists and some outright anti-Semites'". called Corbyn "an anti-Semite and racist". "It's like Jeremy Corbyn has declared war on the Jews ... We as the Jewish community are spending our time fighting the leader of the opposition." A recently created British group, the Campaign Against Antisemitism, solicited testimony this week from British Jews in a case it has submitted to the UK's Equality and Human Rights Commission alleging "institutional racism" in the Labour Party. Netanyahu's tweet is far from the first example of public meddling by Israel in Labour politics. Last December Gilad Erdan, Israel's strategic affairs minister and a close ally of Netanyahu's, all but accused Corbyn of being an anti-Semite. "We recognise and we see that there are anti-Semitic views in many of the leadership of the current Labour Party." An Israeli app developed by Israel's strategic affairs ministry was reportedly used this month to amplify erroneous criticism of Corbyn on social media for making supposedly anti-Semitic comments at a 2010 meeting. A "mission" issued to Israel lobbyists urged them to spread claims that Corbyn had compared Israel to Nazi Germany, based on a misreading of a report in Britain's Times newspaper. 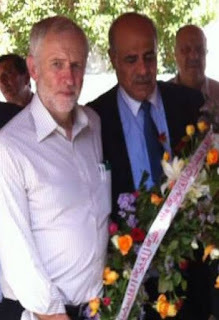 In fact, Corbyn had attended an anti-racism event at which a Holocaust survivor, Hajo Meyer, had made such a comparison. But while these interventions have angered Corbyn and many of his supporters, there are suggestions that, behind the scenes, Israel has been playing a much larger role in helping to stoke the party's "anti-Semitism crisis," as the freedom of information request suggests. The main source of Labour's current woes looks to be Israel's strategic affairs ministry, which has been headed by Erdan since 2015. It was set up in 2006, mainly as a vehicle to prevent far-right politician Avigdor Lieberman from breaking up the governing coalition. Lieberman and his successors used it chiefly as a platform from which to stoke concerns about either Iran building a nuclear bomb or a supposed problem of "Palestinian incitement". But more recently, reports suggest that Netanyahu has encouraged the ministry to redirect its energies towards what he terms "delegitimisation," chiefly in response to the growing visibility of the international BDS movement, which promotes boycott, divestment and sanctions of Israel. As a result, the strategic affairs ministry has moved from being a relative backwater inside the government to playing a starring role in Israel's struggle on the world stage against "enemies" damaging its image. In the summer of 2016, it advertised a position for an intelligence operative to head a "tarnishing" – or dirty tricks – unit. Its role, according to Amir Oren, a commentator on Israel's security services, was to "establish, hire or tempt nonprofit organisations or groups not associated with Israel, in order to disseminate the sullying material". Erdan's number two, Sima Vaknin-Gil, a former military intelligence officer, told a parliamentary committee in 2016 that most of the ministry's activities had to stay "under the radar" because of "sensitivities". "I can't even explain in an open forum why there are such sensitivities," she said. 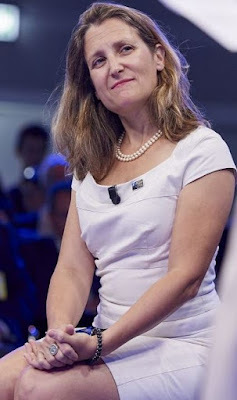 The ministry's job, she added, was to build a "community of warriors". Yossi Melman, a veteran Israeli analyst who has spent decades covering Israel's intelligence services, reported at the time that the ministry was receiving help from a "special unit" of military intelligence to run "black ops" that might include "defamation campaigns" and "harassment". The ministry's underhand methods were alluded to two years ago, at a conference in Israel against BDS. A colleague of Erdan's, intelligence minister Yisrael Katz, called for "targeted civil eliminations" of high-profile proponents of BDS. Katz used language intended to play on the term "targeted assassinations" – how Israel describes its extrajudicial execution of Palestinian leaders. Katz appeared to be calling for "black ops" designed to character-assassinate Israel's leading critics. If Israel regards it as necessary to go to such lengths against BDS activists, it seems reasonable to ask: what is it prepared to do to undermine Corbyn, who heads the largest political party in Europe and was in sight of winning last year's British general election? If Corbyn eventually becomes prime minister, he would be the first European leader to prioritise the cause of justice for Palestinians over Israel's continuing occupation. Clues are provided in a report written last year by two prominent pro-Israel lobby groups, the Anti-Defamation League and the Reut Institute, in collaboration with Israeli government "experts" and endorsed by the Ministry of Strategic Affairs. The report was leaked to the Electronic Intifada website. It warned that solidarity with Palestinians had "migrated into mainstream left-wing parties in Europe". The damage could be curtailed, according to the report, by "driving a wedge" between what it termed "harsh critics" and "soft critics" of Israel. It proposed "professionalising" the existing network of pro-Israel lobby groups and improving "information-gathering" to target Palestinian solidarity activists – or what it called a "delegitimisation network". Such work needed to be done "covertly" and "uncompromisingly," the authors stated. Harsh critics, the report concluded, could then be "marginalised to a point where it [their criticism] is considered socially inappropriate". The report praises the Israeli Ministry of Strategic Affairs for having "inserted a great degree of sophistication and creativity to the pro-Israel network". Vaknin-Gil, the ministry's director-general, is quoted in the document as endorsing its findings: "I am glad to see that we share a very similar point of view regarding the challenge and desired strategy." Whether connected or not, much of the report reads like a playbook for what Israel lobbyists have been doing to promote the idea of an "anti-Semitism crisis" in the Labour Party. The issue has indeed driven a wedge between "harsh critics" of Israel – Corbyn and his supporters – and much of the rest of the party bureaucracy. 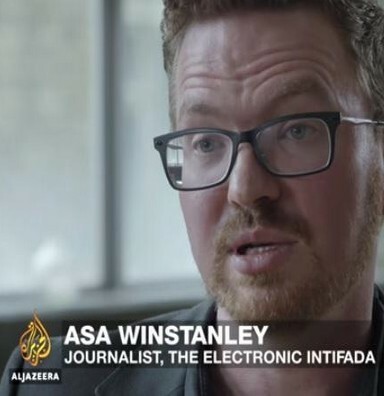 Asa Winstanley, an investigative journalist who has extensively covered the claims of an anti-Semitism crisis in the Labour Party for the Electronic Intifada, argues that Corbyn is viewed by Israel as effectively the "figurehead of the delegitimisation network". "They hope that by taking action against him, they can decapitate what they see as the most powerful figure in this network," he told Middle East Eye. "By making an example of him, they can sow division, spread fear and suppress speech on Israel." Certainly, Israel's fingerprints look to be present in the current claims of an anti-Semitism crisis supposedly revolving around Corbyn. Active interference by the Israeli government in British politics was highlighted last year in a four-part undercover documentary produced by the Qatari channel Al Jazeera. It secretly filmed the activities of an operative in Israel's embassy in London named Shai Masot. What little coverage there was of the documentary in the British media focused on Masot's meetings with pro-Israel activists in the Conservative Party. Masot is shown plotting to "take down" a junior foreign office minister, Alan Duncan, who was seen by Israel as too sympathetic to the Palestinians. But the documentary itself concentrated on Masot's much more extensive meetings with pro-Israel activists in the Labour Party. One of his main efforts was to establish a front organisation, a youth wing of Labour Friends of Israel that would have been opposed to Corbyn. Those who have tried to investigate how the JLM expanded its operations so rapidly say its funding sources are "completely opaque". Shortly after the JLM became more active, a new director, Ella Rose, was appointed. It was Winstanley who revealed that Rose had been recruited straight from Israel's London embassy, where she worked as its public affairs officer. Although the JLM has argued it represents the diversity of Jewish opinion in the Labour Party, that has come under challenge since the Al Jazeera investigation. A new faction, Jewish Voice for Labour, has since been established with a declared intention to show that many of the party's Jewish members are supportive of Corbyn. "It looks suspiciously like the JLM has become a proxy of the Israeli state," Winstanley said. 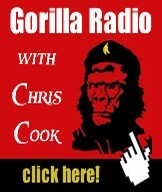 "It is not an organic grassroots movement, as it likes to claim. And it is no accident that it has been the driving force behind the claims of an anti-Semitism problem under Corbyn." Both Ella Rose and the JLM were contacted for comment on these allegations, but neither had responded at time of publication. But there is considerable evidence that Masot's collaborative work with British pro-Israel organisations against Corbyn was being carried out at the direction of the Israeli Ministry of Strategic Affairs. In a leaked cable sent to the Israeli foreign ministry and obtained by Haaretz, its senior staff at the London embassy complain that Erdan’s strategic affairs ministry is "operating" British Jewish organisations behind the embassy's back. The embassy's apparent concern is that such operations are likely to break British law and could have "dangerous" repercussions for the embassy's work. "Britain isn't the US!" the cable states. Haaretz explained the concern behind the cable: "The potential legal problem stems from the fact that most British Jewish organisations are defined as charities. As such, they are barred from activity of a political nature unless it is directly connected to the organisation's charitable goals." According to the Haaretz report, strategic affairs minister Gilad Erdan had visited Britain two weeks earlier to try to iron out differences. His advisers in the UK had promised "not to pose as the embassy," though the cable identifies an incident shortly afterwards when one such adviser did so. Was Masot another of Erdan's "advisers" in the UK, operating out of the embassy? His covert operations – caught on camera – are of precisely the kind his own embassy was complaining about. At one point during Al Jazeera's many weeks of secret filming, Masot dramatically changes direction. He announces to the undercover reporter that he can no longer be directly involved in creating a Labour youth movement and must remain in the background. He is seen winking at the reporter. One Labour activist, who did not wish to be named given the purges taking place inside the party, told MEE: "Corbyn is up against an unholy, ad hoc alliance of right-wing MPs in both the Labour and Tory parties, the Israeli government and its lobbyists, the British security services and the media. "They have settled on anti-Semitism as the best weapon to use against him because it is such a taboo issue. It's like quicksand. The more he struggles against the claims, the more he gets sucked down into the mire." That has been all too evident in months of wrangling inside Labour about how to define anti-Semitism. Under pressure from Corbyn's critics, the party approved a new code of conduct in July based on a highly controversial "working definition" drafted in 2016 by the International Holocaust Remembrance Alliance (IHRA). 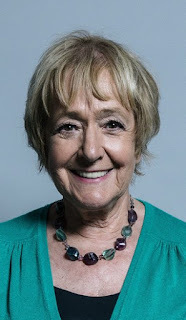 The adoption of the IHRA definition, however, did nothing to placate Jewish leadership organisations, such as the Board of Deputies, or the JLM. They objected because Labour's code of conduct excluded four of the IHRA's 11 possible "examples" of anti-Semitism - the main ones that relate to Israel. Labour officials feared that including them would severely curtail the party's ability to criticise Israel. Experts agree. David Feldman, director of the Pears Institute for the Study of Anti-Semitism at Birkbeck College, London University, has warned of "a danger that the overall effect will place the onus on Israel's critics to demonstrate they are not anti-Semitic". Israel's fingerprints are evident in these recent efforts to redefine anti-Semitism in a way that moves the centre of gravity away from hatred of Jews towards criticism of Israel. The IHRA's definition is itself based on one proposed in 2004 – and discarded after much criticism – by a now-defunct European Union body called the Monitoring Centre on Racism and Xenophobia (EUMC). Nathan Thrall, an analyst in Jerusalem with the International Crisis Group, has noted that the aim of Porat and others was to create "a new definition of anti-Semitism that would equate criticisms of Israel with hatred of Jews". They were largely responsible for the way the EUMC's "working definition" was formulated. But Israel and its lobbyists were frustrated by the definition's failure to gain traction. That began to change in 2015. A conference in Jerusalem sponsored by the Israeli foreign affairs ministry, the Global Forum for Combating Anti-Semitism, recommended that year that the working definition of anti-Semitism "be reintroduced into the international arena with the aim of giving it legal status". The task was taken up by a senior pro-Israel lobbyist, Mark Weitzman, of the Los Angeles-based Simon Wiesenthal Centre. As chair of the IHRA's committee on anti-Semitism and Holocaust denial, he lobbied on behalf of the discredited EUMC definition. The IHRA formally adopted it in 2016. "The main innovation in the working definition is that it also includes expressions of anti-Semitism directed against the state of Israel, when it is perceived as a Jewish collective." According to Winstanley, if the full IHRA definition is approved by Labour: "It will be open season on Corbyn and his supporters in the party." He added that the strategy outlined in the report by the Anti-Defamation League and the Reut Institute was being closely followed. "Well-tested disinformation strategies are being used to isolate Corbyn from his base of support," he said. The Israeli academics and lawyers seeking access to information on the activities of two Israeli ministries – foreign affairs and strategic affairs – believe that official documents could help to expose a role played by Israel in fomenting the current problems facing Corbyn. The role of the strategic affairs ministry, given its covert nature, is harder to assess. But the existence of a "dirty tricks" unit points towards a strategy to vilify and isolate high-profile Palestinian solidarity activists such as Corbyn. Given his long track record of being at the forefront of anti-racism initiatives that have emphasised Palestinian solidarity and criticism of Israel, Corbyn may find there is an endless supply of readily mined "scandals" the two ministries can keep digging up. Saudi Arabia, Iran's arch-rival in the Middle East, has been a passionate supporter of President Trump's intention to pull out of the nuclear deal with Iran and reimpose sanctions. This support is not simply on ideological or religious grounds, it also has a purely economic motive: the less Iran crude there is for sale, the more consumers will buy from Saudi Arabia. Iran, however, is not giving up so easily. It has more to lose, after all, with the harshest sanctions yet coming into effect in the coming months. The first shots in this war were already fired: Saudi Arabia cut its selling price for oil shipped to all its clients except the United States, S&P Global Platts reports in a recent analysis of OPEC. Iran did the same and has indicated that it is prepared to do a lot more if any other producer threatens its market share. 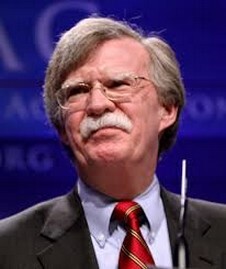 In fact, statements from senior government and military officials suggest that Iran is ready to go all the way to closing off the Strait of Hormuz. So, OPEC's internal fractures are deepening and likely to deepen further because Saudi Arabia and Iran are highly unlikely to put down their arms, even if it means cutting prices to uncomfortably low levels. Saudi Arabia could boost its production. 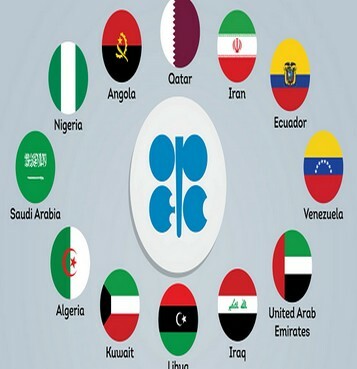 According to Platts, it has the biggest portion of OPEC's combined spare capacity. Iran is not really in a position to do so, what with exports already falling and expected to fall further as the November 4 start of the sanctions approaches. Yet Iran has made clear that it will not stop exporting oil and China, for one, has made clear it will not stop buying it.